I can wiggle my ears, blink my eyes and move my mouth. Love me and I'll love you back, lets play together! You can teach me to total tricks, I can dance. 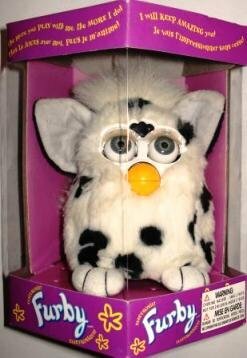 I can communicate with other furbys and teach them games, songs and tricks. Package Dim. 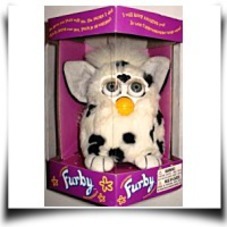 : Height: 3.9" Length: 8.1" Depth: 6.3"